For a bit more than 2 years I am running WordPress on my server as CMS for my website. 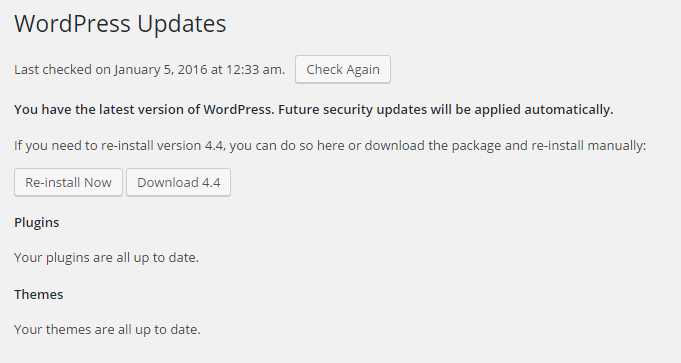 With PHP 7 released not that long time ago and also because I am using couple of heavy WordPress plugins I was a bit hesitant at the beginning to upgrade, but I gave it a try and it worked without problems! All the plugins I rely on (Akismet, FooBox HTML & Media Lightbox, Google XML Sitemaps, iframe, Jetpack, Justified Image Grid, Social Count Plus, SyntaxHighlighter Evolved) are running fine with PHP 7.0.1 and WordPress 4.4.